In a time where the humble local newspaper was the dominant form of media and news, the Observer Printery was first established in Henty in 1905. 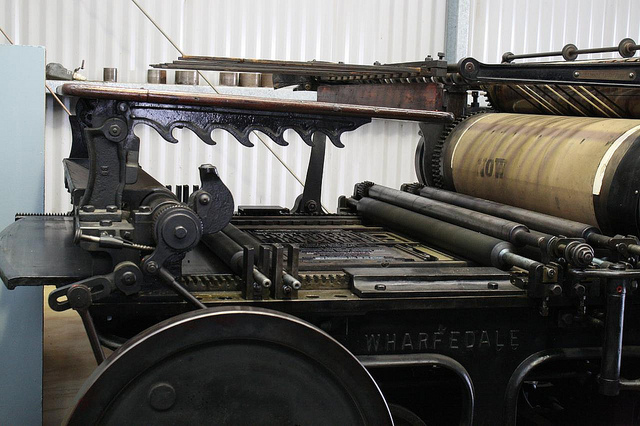 The printing equipment was brought from the Border Post in Albury and transported by bullock team to Henty. The Printery was housed in a galvanized iron shed, then later moved to a purpose built brick building in Ivor st, and then to a weatherboard building in Lyne St.
After a fire gutting the entire building in 1933, all stock and records were lost. The following year a brick building was built to house the printery which still stands today and houses the museum. Today visitors can observe how the newspapers of yesteryear were printed and how much printing has changed since then. Inspection is by appointment, call Les & Mary Dale, Dales IGA Supermarket 02 6929 3302. Free. Gold coin donations appreciated.